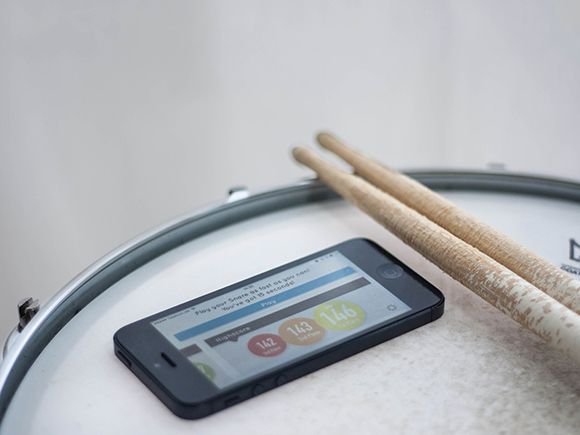 Drum Challenge is an iPhone App for drummers, which provides an on-time feedback about the number of strokes the user played. The App is structured as a game. 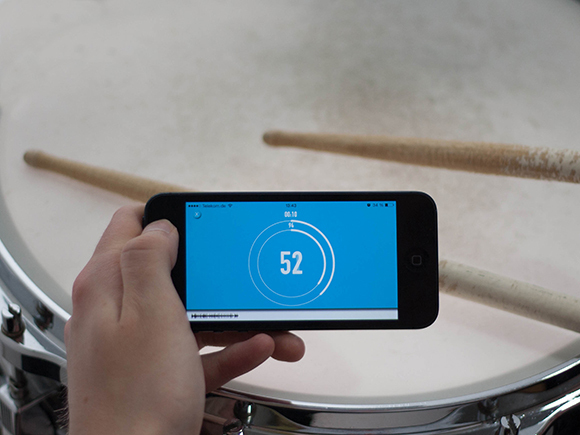 Every round takes 15 seconds.During a round the user has to play his snare drum as fast as possible. Meanwhile he gets a feedback about the remaining time in form of an circle and the number of played strokes. After the first round a smaller, second circle appears. This one reflects the highscore and provides a reference how fast the user is compared to his best round. If the inner circle is faster than the outer circle, the user will achieve a new highscore. The main screen of the App show on the one hand an analysis of the last round and on the other hand the high score. The anlysis provides a number of the played strokes altogether, an average per second and a percentage distribution per third of the time. The latter is designed to illustrate the user how constant he played. If the bars have the same length approximately, the user played the same speed during the whole game more or less. However, is one bar significantly shorter than the others, it becomes clear that the user played slower in this third. Therefore the bars can help to improve the play. You can find the whole documentation here.